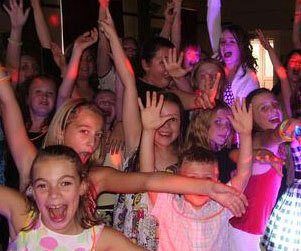 Our kid’s disco DJs are experienced in getting the party started with the latest music plus the old favourites. With a state of the art dance floor, incredible lighting and quality equipment your child’s event is going to be the best ever! We have over 10,000 songs available including music for toddlers involving nursery rhymes and musical games. All of our kids DJs have their Working with Children Check certification. Please feel free to look at our specialist children's entertainment - available here or simply follow the links under our artist's tabs at the top of the page. Kids love getting their face painted with their favourite characters and designs. Our experienced artist gives the children an array of styles and colours to choose from, using quality non-toxic paints and their artistic flare they will delight the children with the creations. 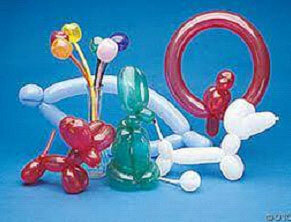 Balloons are a great addition to any special event. Our sculptor can walk around your event or have their designated area to mould their designs for the kids. 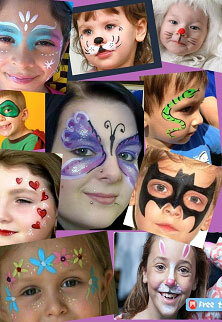 Face Painting & Balloon Sculpting are charged at an hourly rate and can be booked separate or as a package deal. Please do not hesitate to contact us on the form provided within this website for more information.